Is there anything I love more than dogs? No. I love dogs more than anything, especially my dog, Moose. He's the love of my life (and that doesn't take anything away from my boyfriend, btw). 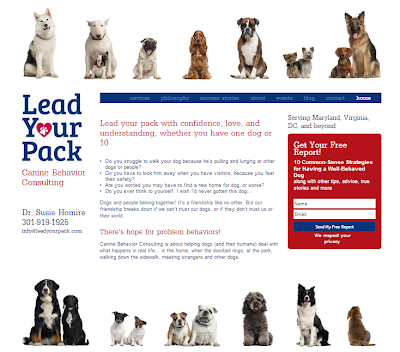 When Dr. Susie Homire contacted me about branding and web design for her dog behavior consulting company, Lead Your Pack, I was delighted. Finally! A chance to work with dogs. Creating her logo and look and feel were truly an act of love. In fact, that was the goal: show that love of all canines is at the heart of Susie's work. 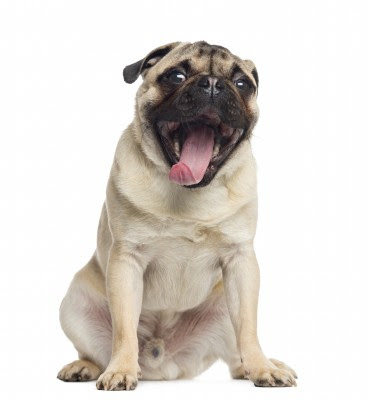 Frustrated and frightened dog owners come to Susie looking for strategies to relieve their dogs' aggression toward other people or dogs, fear, home destruction, and more. 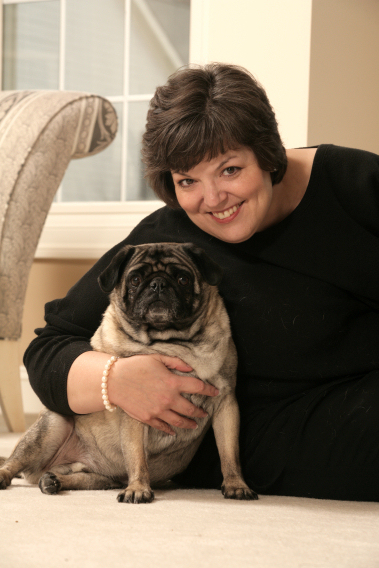 Susie works closely with the owners to develop the just-right solutions to their dogs' particular issues. She teaches them to lead their pack with confidence, love, and understanding, whether they have one dog or 10.